Do you need to check if a Contractor has downloaded a Plan or Specification? Now you can. SiteBook have extended the logging of document downloads, from Tender Documents, to include for construction project & safety document downloads. 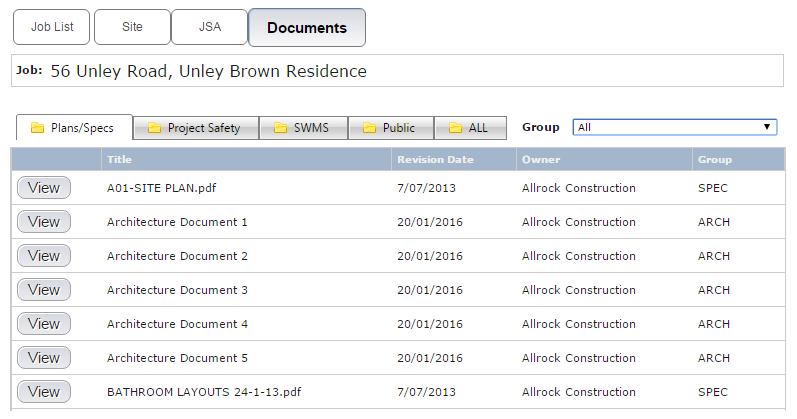 Contractors can View Project Documents on the “Document List” page, including any project plans, specifications and safety documents. 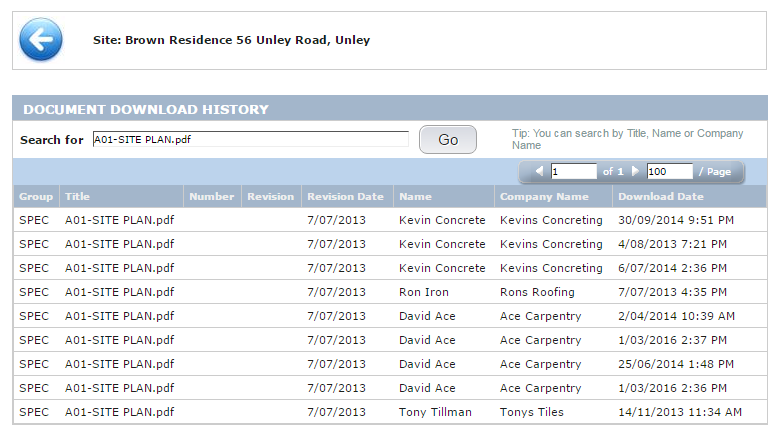 Principal Contractors (Builders) can review the Download History for a Project, with the option to search by Title, Revision, Name , or Company Name. Site Page => Plans & Specifications => Download History (at the bottom of the Document List). Downloads will be logged from 15 May 2016. Thanks to AREA Construction for sponsoring this change to SiteBook.